Bags used to be a drag. Then pilot Bob Plath came up with the idea of putting wheels on them. There had been variations before, such as strapping on a little trolley, or attaching wheels and a leash, but the former was flimsy and the latter fell over going round corners. 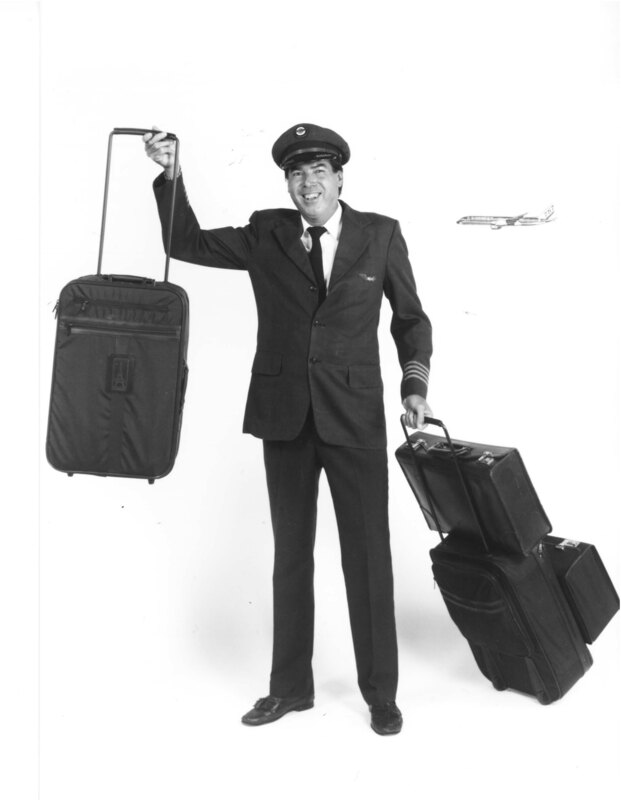 Plath kept flying Boeing 747s for a number of years (for Northwest-Orient, now part of Delta), but he also incorporated Travelpro, which quickly became a major supplier of suitcases. In fact within two years all other manufacturers were making their bags upright. At first it was airlines who were the main buyers – currently 95 airlines around the world buy Travelpro for their flight crews – but they are now widely used by business and leisure travelers. There is a range of models and sizes, including the new lightweight Crew 10 model with wheels that stay perfectly aligned. This I can confirm after three months in the US and Central America during which my Crew 10 was on and off aircraft, ships and cars. It proved to be my best bag ever. The company’s warehouse in Florida is not far from Plath’s home. It is amazing – the size of several football pitches with convoys of trucks loading every day, and a far cry from its beginnings in Plath’s garage.